When your vehicle’s check engine or other warning lights come on, have your vehicle diagnosed by a factory-trained BMW technician. 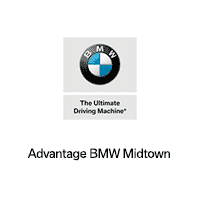 At Advantage BMW Midtown, our expert technicians will perform a complimentary initial inspection/diagnosis on your vehicle. You can trust our trained repair technicians to quickly identify problems and determine exactly how to repair it. We offer regular specials and competitive prices on services and repairs in the Houston, TX, area. Schedule an appointment today to take advantage of our special service offers!